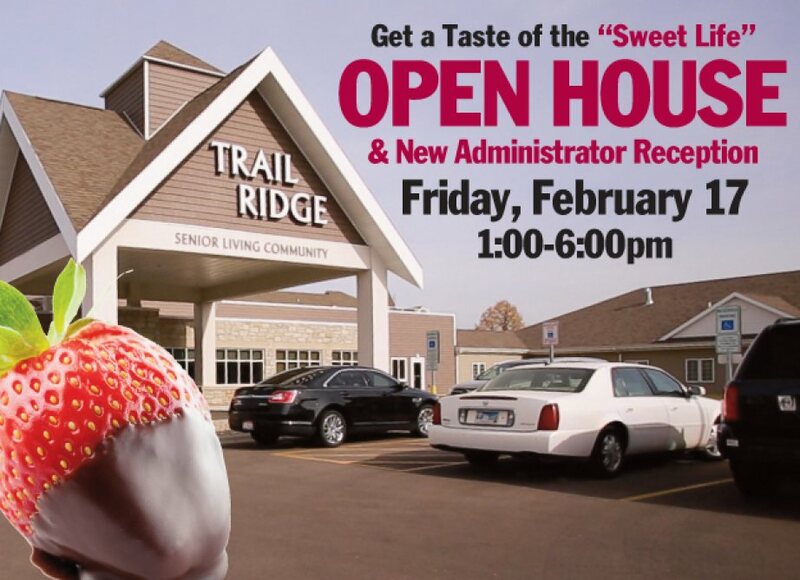 On February 17th, 2017, Trail Ridge Senior Living Community will host “The Sweet Life – Open House”, from 1pm – 6pm. The Sioux Falls community is invited to stop in and take personal guided tour, learn what Trail Ridge has to offer and get a chance to meet Dawn Patten, the new Trail Ridge administrator. Visitors will experience “The Sweet Life” at Trail Ridge by sampling our delicious dessert bar and walking through the community. Trail Ridge offers 112 Independent Living apartments, 40 Assisted Living apartments and 22 Memory Care apartments. The newly remodeled campus also includes state of the art fitness and wellness center, two warm water pools, restaurant style dining, bistro, guest rooms, walking trails, gardens, and much more. Trail Ridge is a nonprofit mission Christian based community, part of American Baptist Homes of the Midwest.